Summer is drawing to a close, time to prepare. Sure, it was 105 in Paso Robles today but the hot days of Summer are coming to an end. Autumn is around the corner and then, Winter. Even though we all live on the beautiful Central Coast, it does get cold in the Winter months. Now is a good time to think about what you might need to do in order to protect your plumbing. We are now a Rinnai ASP!! 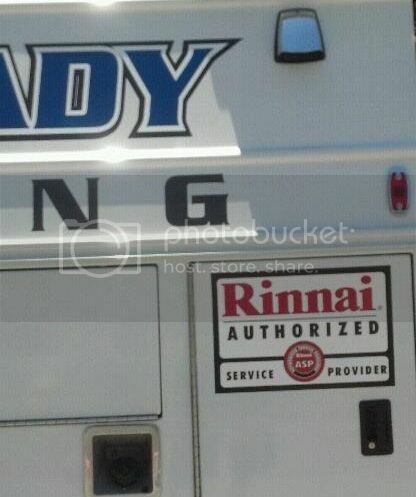 Rocksteady Plumbing is now a Rinnai Authorized Service Provider. We’ve completed the training and are now stocking parts for the best tankless water heater available! Rocksteady Plumbing is primarily a service plumbing company but we are also well versed in water treatment. Paul has spent many years working on water treatment systems and even worked for one of the largest water treatment companies many years ago. This allowed him to build a base of knowledge, specific to water softeners and reverse osmosis systems that many plumbers don’t have. Rocksteady Plumbing can replace your leaking, failed or inefficient conventional water heater with a new and energy efficient tankless water heater by Rinnai. Why spend your money heating and re-heating 50 gallons of water while you sleep? How much money do you think is spent keeping your water hot when you don’t need it? It’s a lot. With a new Rinnai tankless water heater you will see lowered fuel bills as well as increased convenience. People often forget that sub-freezing temperatures can be felt here on the Central Coast. 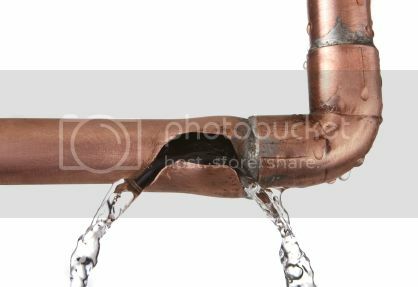 Sure, we all live in sunny California but every few years the temperatures here in San Luis Obispo county do drop well below freezing and can cause havoc on your plumbing system. Because most people forget, pipes are left unprotected. An uninsulated water line WILL FREEZE. Rocksteady Plumbing is a 24 hour, EMERGENCY plumbing company. Just because the sun has set, it doesn’t mean we aren’t out working. This goes for weekends and holidays too. Do you feel dried out after a shower? Chlorine that’s added to municipal water isn’t good for your skin and hair. You can easily, safely and affordably remove Chlorine from your water with a whole house carbon filter. Carbon filters will also remove other odors and tastes from your incoming water and leave it smelling and tasting fresher. This Memorial Day weekend we ask that you take the time to remember those that fought and died for this great country. While you may not agree with the actions of our government at all times, the brave men and women that have sacrificed their lives for us MUST be thanked. Because of all they gave, we can enjoy the life we do. Please take some time during this weekend to think about those that allowed you to have the freedom you do. Tankless water heaters are great, don’t get me wrong. They provide nearly limitless amounts of hot water and can lower your gas bill significantly by not heating and re-heating stored water. Even though they sound great, they’re not optimal for every situation. Tankless water heaters have become a “buzz” in the plumbing world and dare I say it, a new fad. Don’t blindly convert your conventional tank-style water heater to a tankless without considering the other available options. There are lots of choices when it comes to high efficiency water heaters and the list is growing almost daily. Everyone at Rocksteady Plumbing wants to wish our customers a very happy Easter. We’ll be hanging out with the family but we’re also here if you need to call. 24/7 Emergency Service is what we do. Here is where I spent the last 2 days. The crawlspace was tight with almost no room to maneuver but the plastic that the homeowner had laid down was much appreciated. I was under the house to replace all of the undersized gas lines with new Trac pipe. While under there, I also replaced a small amount of the water lines. Well, it’s 2010. The party’s over and it’s time to get back to work. All of us at Rocksteady Plumbing would like to wish everyone a happy and healthy Thanksgiving. We’re hoping that you are all able to spend some quality time relaxing with your friends and family this year. Watch some football on tv, maybe go see a movie, have too much food and just generaly relax. As you’re enjoying the day don’t forget to give thanks for what you have. What began as a typical mainline blockage turned into a much larger problem. This line was supposedly replaced not too long ago but as I found out yesterday, it’s original to the house. I really hope the customer wasn’t taken advantage of by a unsavory plumbing company. After clearing the line the cable was being retrieved when it got stuck under the street out front. Luckily, I was able to enlist help from another local plumber and his son/helper to get the line pulled back to within 35 feet of the house. It became bound up one more time and now it wasn’t going to cooperate. We had to dig up the line in order to remove the roots from the cutter head in order to remove the cable. A temporary repair was done to save the customer some money since the entire line needs replacement. What was thought to be relatively new ABS plastic pipe turned out to be 30+ year old clay with root impactions at multiple spots. Every day is an adventure. A.O. Smith, in joint venture with one of the nation’s leading design engineering firms, has developed a 76,000 BTU conventional tank-style water heater that promises a thermal efficiency rating above 90% and virtually “endless hot water.” We at Rocksteady Plumbing are extremely excited about its possibilities. Just imagine: the reliability of a tank style heater that just about every house is already plumbed for with the energy saving benefits of an on-demand heater. Not to mention the nearly endless supply of hot water that up until now only tankless heaters could provide. Often times a toilet will develop a small leak where it meets the floor. Sometimes your only clue will be a wet rug, sometimes it’s much more obvious. If there are no signs of leakage at the valve, supply line or tank area chances are good it’s the wax seal that’s leaking. The wax ring that is used to seal the toilet to it’s mounting flange is not reusable and will need to be replaced with a new one.